"I do not really give a damn who creates the jobs. I just want them created." Interview for your new career at TECHEXPO Top Secret's September Hiring Events! Tuesday, September 20 • Ritz-Carlton Tysons Corner, McLean, VA - Wednesday, September 21 • BWI Marriott, Baltimore, MD. Job seekers must have an active security clearance to attend. For details & pre-registration visit TECH Expo USA. Each federal vacancy announcement found on www.usajobs.gov will include important information such as who is eligible to apply, qualifications that must be demonstrated in your work history, and may identify mandatory supplemental statements or questions. As Congressional leaders tackle Veteran unemployment issues, National Guard leaders contend reservists are the ones really suffering. "It is true that employers appear reluctant to hire members of the Guard and reserve components..."
The federal government uses grade and pay level structures such as the General Schedule (GS) system to identify positions, pay and seniority. Entry level positions are designated as GS-4 and below. GS-5 through GS-6 positions are lower level positions with greater authority, equivalent to a Non-Commissioned Officer in the military services. GS-7 through GS-11 positions are middle management positions equivalent to Company Grade officers, while GS-12 though GS-15 positions are upper level management jobs equivalent to Field Grade Officers or department managers in the civilian world. Senior Executive Service (SES) positions are top-level management positions in the government. Within each grade level are 10 steps that indicate seniority and rate of pay within that level. Occasionally, government workers can actually receive a promotion by taking a lower grade with a higher step level. Most announcements require at least one year of experience at the next lowest level, although education can sometimes substitute for this requirement. Specific instructions on KSAs, ECQs or other supplemental statements and questions will be listed in the announcement, but these can be confusing, especially in some of the online application systems. Read this information carefully as some requirements can be very specific, limiting the size of margins, character counts, font size and other factors. Some statements are entered into an online field while others must be uploaded as a separate document. Any deviation in required format can result in a rejection of the entire application. When creating a separate document for submission, it's a wise idea to use a header with your name, social security number (if required), phone number and the vacancy announcement number, job title and grade. Often times question responses will be separated for more that one reviewer to evaluate and this simplifies matters if your statements are printed and the pages become separated for review. The American Legion has thrown its support behind President Barack Obama's jobs plan, saying his new initiative and the approval this week by a House committee of a veterans’ career counseling bill could help put thousands of unemployed veterans back to work. "Far too many of our young veterans are returning home to find they can't get back into the workforce," said American Legion National Commander Fang A. Wong. "So, the American Legion heartily welcomes the jobs plan initiatives pertaining to veterans announced by President Obama." Wong cited a recent report by Congress' Joint Economic Committee that puts veterans' unemployment rate significantly higher than the national average. He said Obama's proposals for reducing the veteran jobless rate, including tax credits for companies that hire veterans, could help open up more opportunities in the private sector. "The president has challenged the private sector to hire or train 100,000 jobless veterans by the end of 2013," Wong said. "We join the president's call to action, but would like to up the ante. The American Legion is challenging America to bring veterans unemployment below the 5-percent mark before Election Day of 2012." Wong also praised the House Veterans’ Affairs Committee for approving a bill Thursday to help smooth the transition for service personnel leaving active duty. The bill, known as the Veterans Opportunity Work Act, is sponsored by Committee Chairman Jeff Miller, R-Fla. It would help veterans obtain licenses or certifications for skills learned in the military. "Military training and experience needs to be recognized by civilian employers. This is an issue The American Legion has taken to the White House and Congress many times," Wong said. "Now we are seeing some results – in the president's new initiatives to get more veterans hired, and in the VOW Act that is making its way to a vote on the House floor." As Congressional leaders tackle Veteran unemployment issues, National Guard leaders contend reservists are the ones really suffering. "It is true that employers appear reluctant to hire members of the Guard and reserve components, but it is very hard to prove," said Pete Duffy, National Guard Association of the United States NGAUS) deputy director for legislative programs. "Employers are not stupid. They're not going to say you are not being hired because you are in the Guard. How do you prove any kind of discrimination, especially when the employer has a stack of resumes and have the chance to be picky? "But how else do you explain the current level of [veterans'] unemployment?" he said. The law allows employers to ask about an applicant's military service, but the Reserve Officers Association has been pushing for a change in the Uniformed Services Employment and Reemployment Rights Act that would prohibit specifically asking about whether a person is in one of the reserve components. John Goheen, an NGAUS spokesman, said some people have told him they have avoided mentioning their Guard affiliation until after they are hired to prevent discrimination. That may not work, though, if an employer requires job seekers to complete an application that directly asks about military service. "This is an issue where it's kind of hard to get your arms around it," Goheen said. "The unemployment numbers tell you this is something of a problem, but there is no proof." The Justice Department is looking at many complaints involving the USERRA law, which prohibits job and hiring discrimination against reserve component members and veterans, but most of their cases involve re-employment complaints — reservists who already have jobs encountering difficulties in returning to those positions after deployment. Those types of violations are easier to spot, Duffy said. The job outlook for Guard members should improve as the pace of deployments declines for Guard units, Duffy said, but in the meantime, he said he regularly hears from guardsmen who say they are working part-time or holding down several jobs at once because they cannot find permanent work. 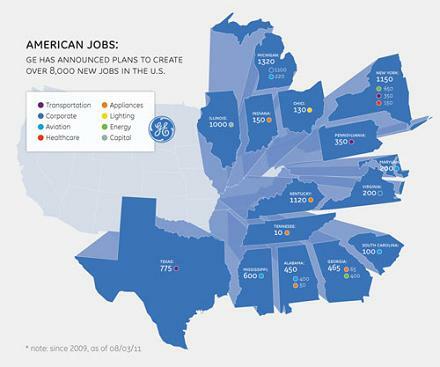 If you're a veteran looking for a job, GE Veterans Network is holding out a welcoming hand. The company says it currently employs more than 10,000 vets and is participating in 100 veterans career fairs this year to hire more. "We're expecting an influx of troops coming back from Iraq and Afghanistan, and they need jobs," Kris Urbauer, program manager for GE's veterans' initiatives, says in a statement. To help achieve GE CEO and Chairman Jeff Immelt's stated goal of making GE the "employer of choice for veterans," Urbauer and others have intensified ongoing recruiting efforts.